Grew Up… alongside the prince of the Pride Lands, Simba. She would play with Simba as a child, and they had a mischievous connection – something like kindred spirits of rule-breaking. Then one day Simba disappeared, presumed to be dead, and the kingdom sank into a state of wretchedness. Living… as a grown lioness in a Pride Lands ruled by Simba’s evil uncle, Scar, and wracked by hunger. Nala must roam far from home to try to find food for the pride. While on a hunt for a wild boar, she finds Simba defending the boar – who turned out to be Simba’s friend. Unfortunately, their reunion is bittersweet. Although Nala is happy to see Simba, she knows she must do everything she can to bring him back with her. 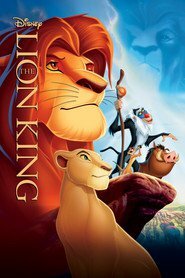 As the rightful heir to the throne, Simba is the only one who can challenge Scar's power. But it won't be easy. Simba likes his life in the wilderness where everything is easier. Interests… wrestling. As a cub, Nala usually ended up on top while wrestling with Simba. And now that they’re both fully grown, she still proves herself to be a worthy opponent. Relationship Status… in love with Simba. She has cared about him since youth. Now that the stakes are raised, the flame is reignited. But she feels that “he’s holding back, he’s hiding. But what, I can’t decide.” And besides, she doesn't have the luxury of thinking about her romantic feelings right now. There is something more important to worry about - the future of the pride. Challenge… bringing Simba back home to challenge Scar. There’s not enough food to go around under Scar’s regime, and the hyenas who help Scar stay in power get first dibs on all the fresh kills. Simba is their only hope. Personality… honorable and loyal. Nala proudly waves the flag of her kingdom, and hunts ferociously to keep them from starving. And she also has a playful side, which she hasn't been able to show lately given their circumstances. Simba is lucky to have a friend like her. Nala's popularity ranking on CharacTour is #1278 out of 5,000+ characters. See our top-ranked characters and read their profiles.